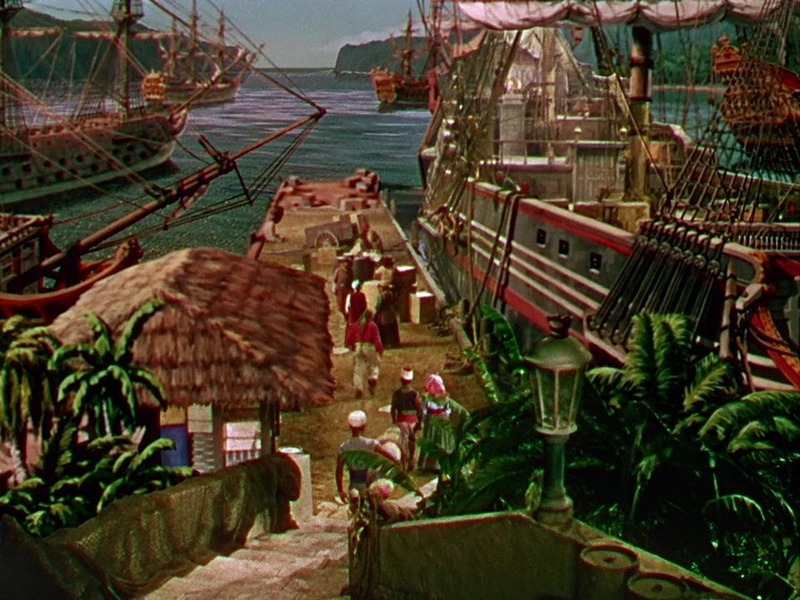 The technicolour is turned up to eleven particularly in the matte painted shots which also suffer from some very apparent bounce in the ocean plate. 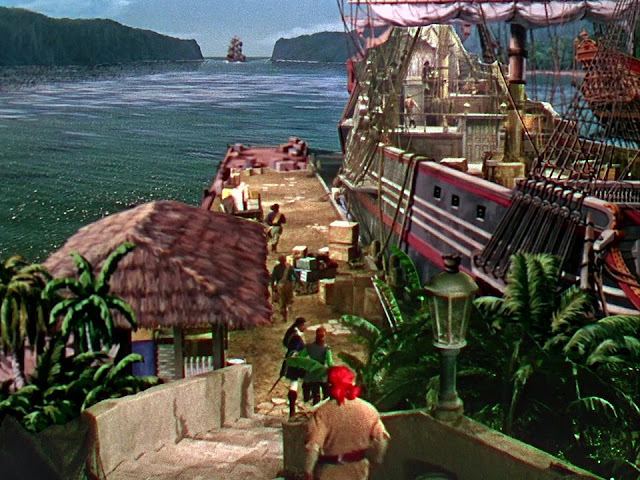 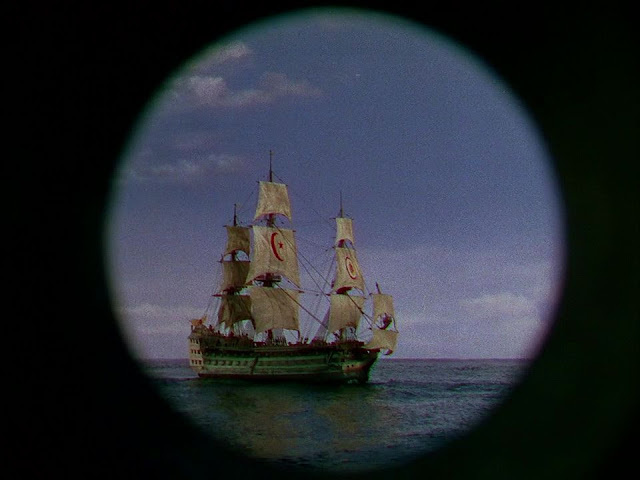 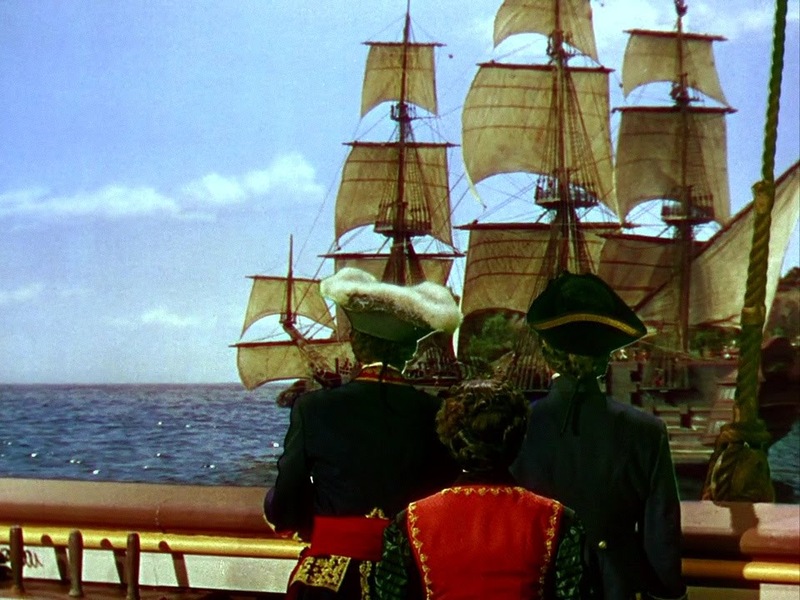 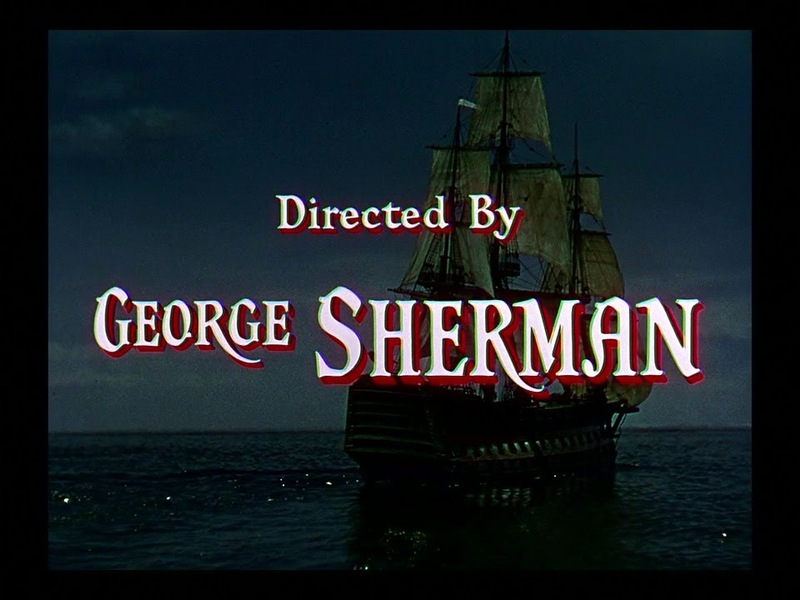 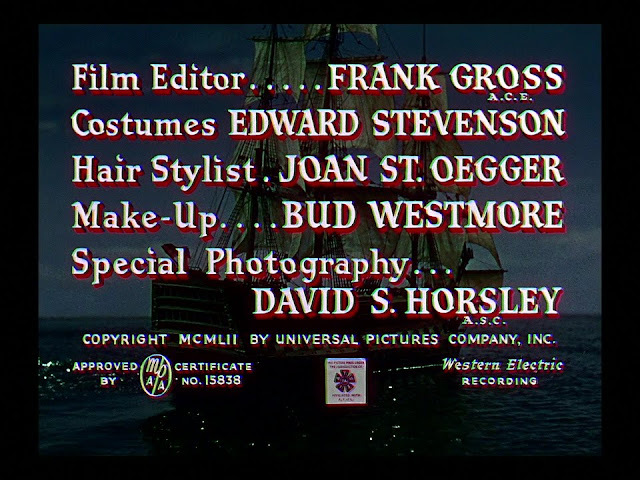 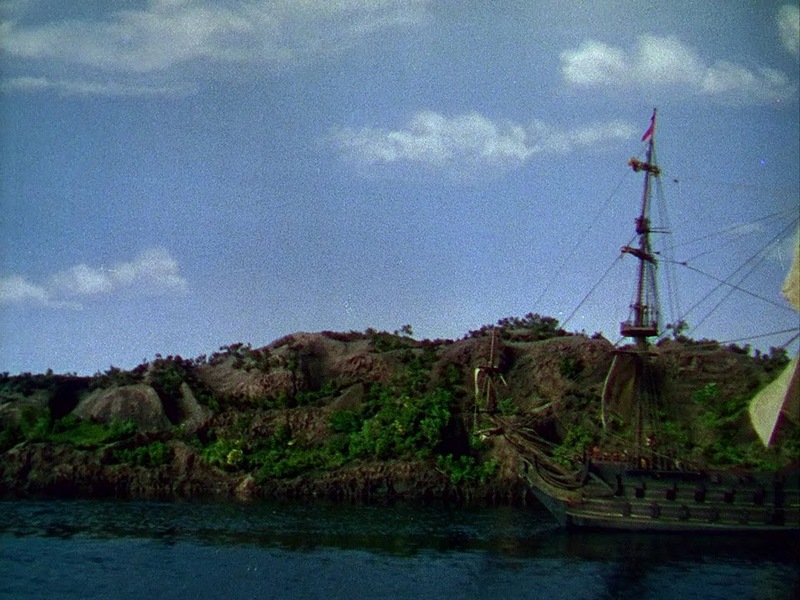 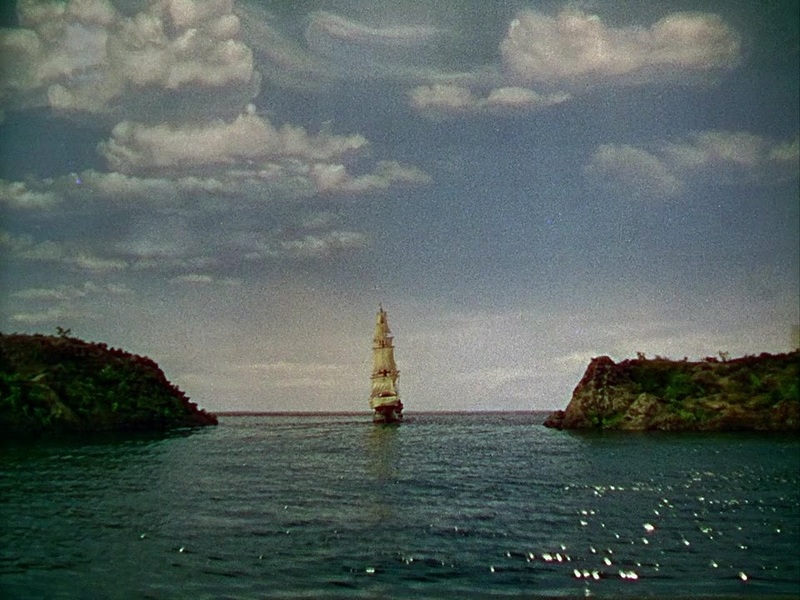 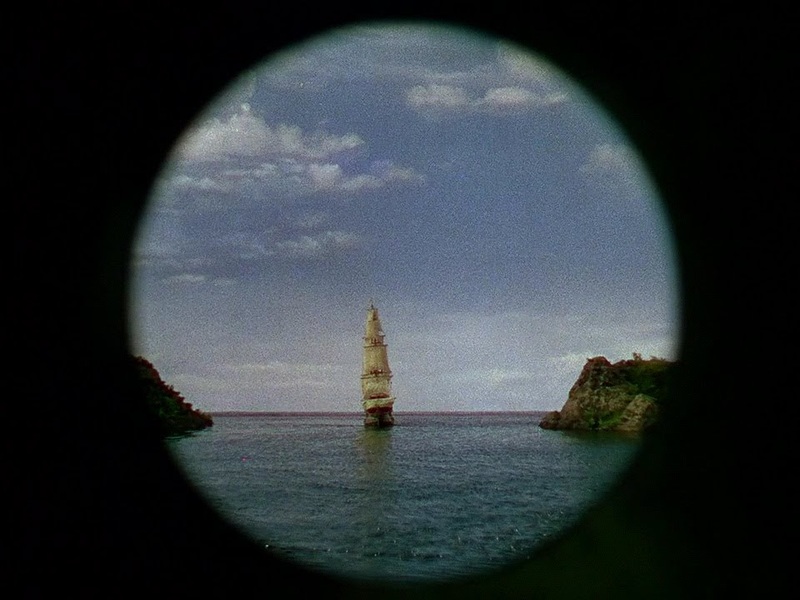 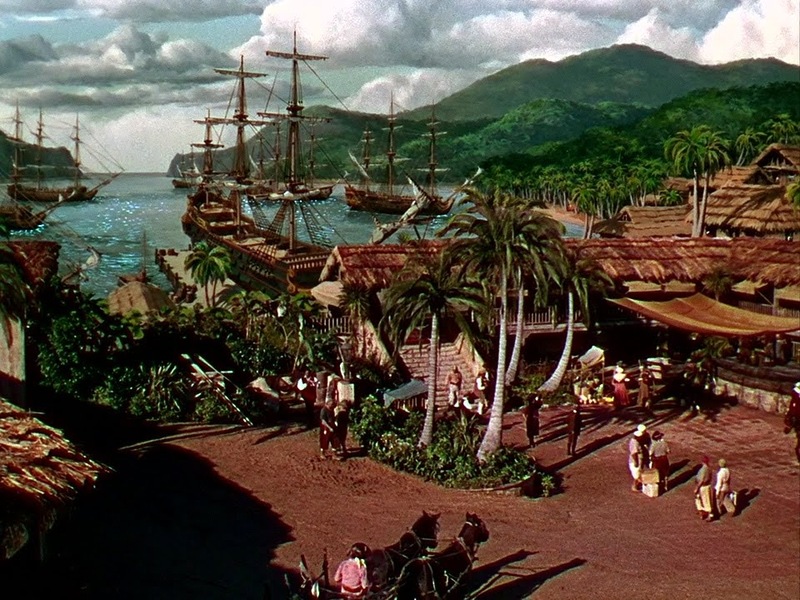 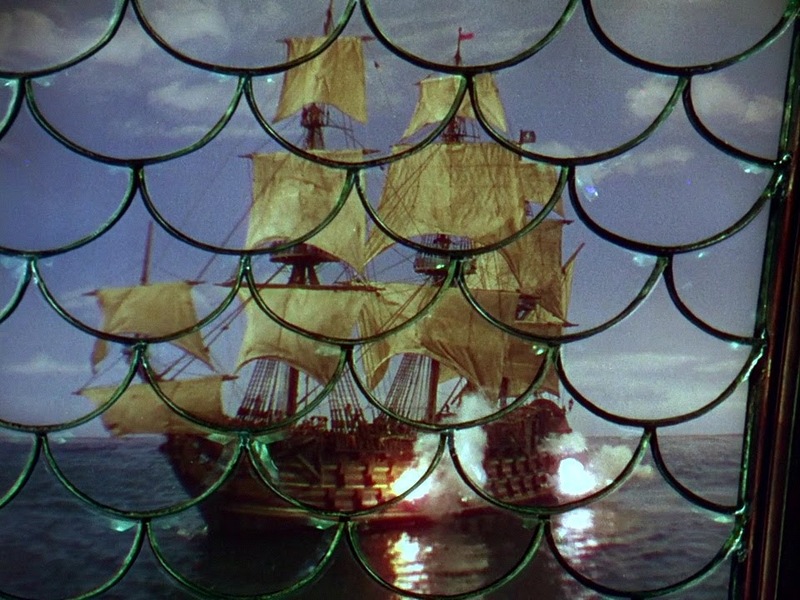 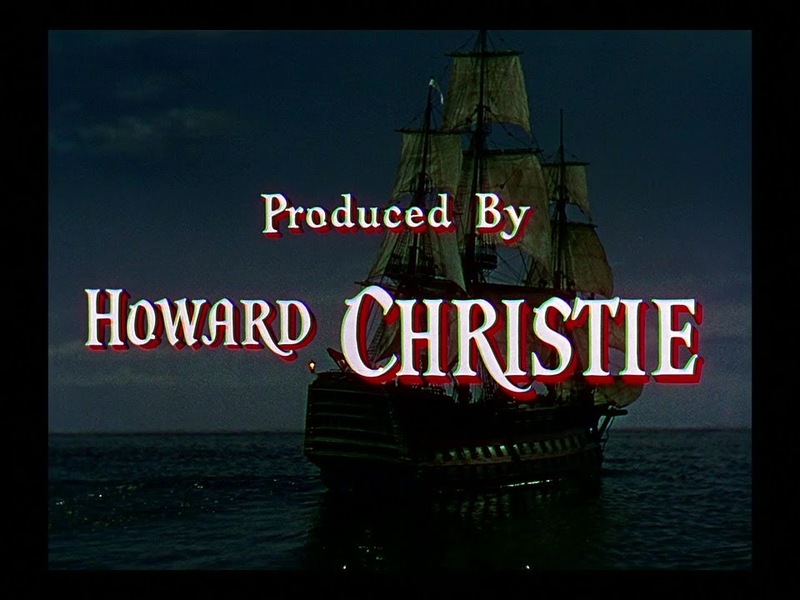 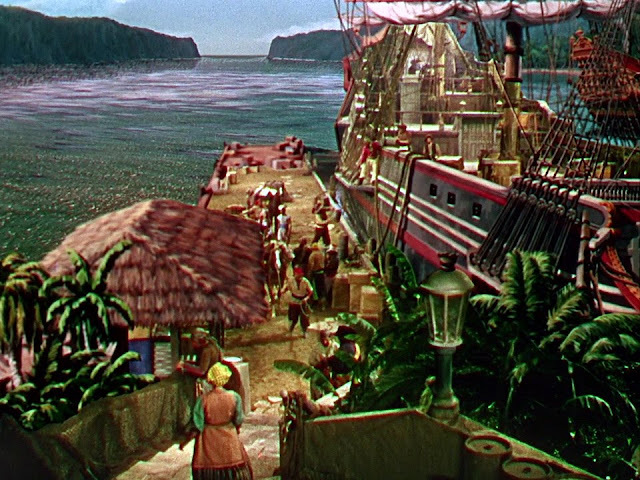 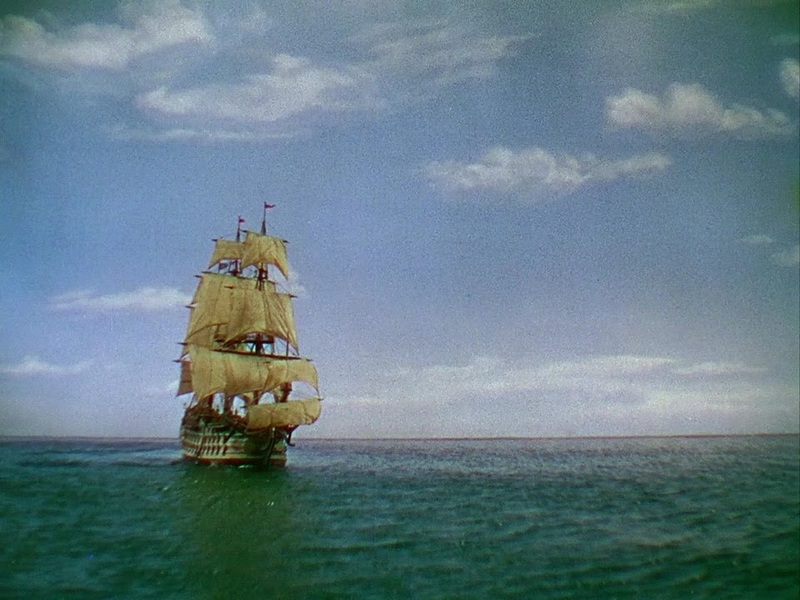 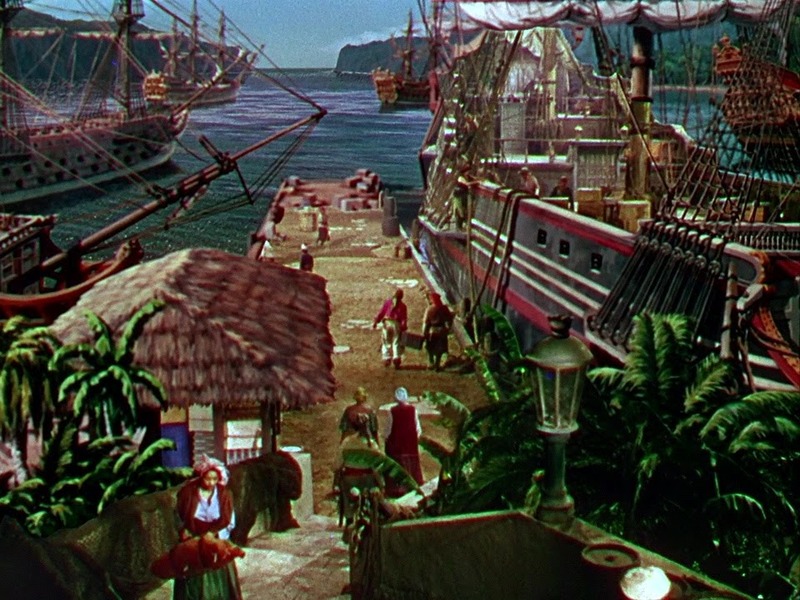 It's also interesting to note that traveling mattes have replaced what used to have been more commonly rear screen projection composites in the shots of the pirates looking at the miniature ship action. Unfortunately there are very obvious matte lines around the actors. 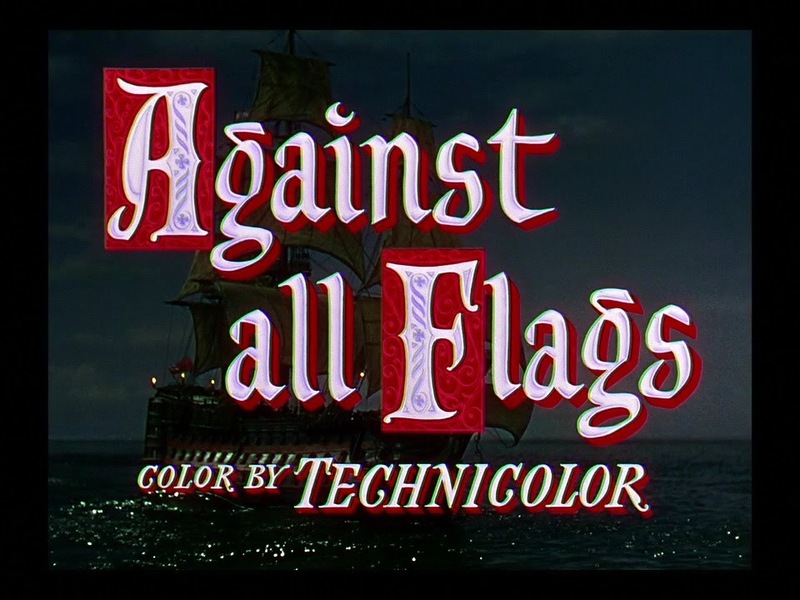 Errol Flynn broke his ankle 5 days short of completing the shoot. 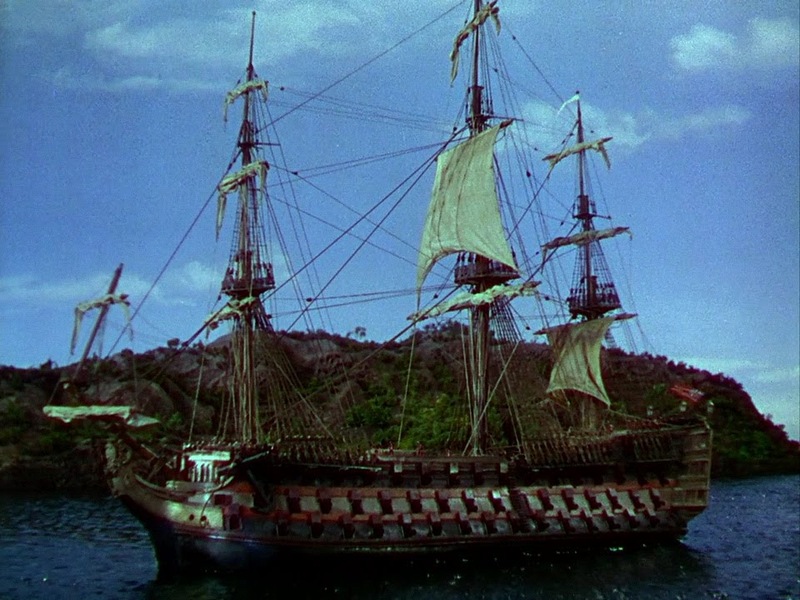 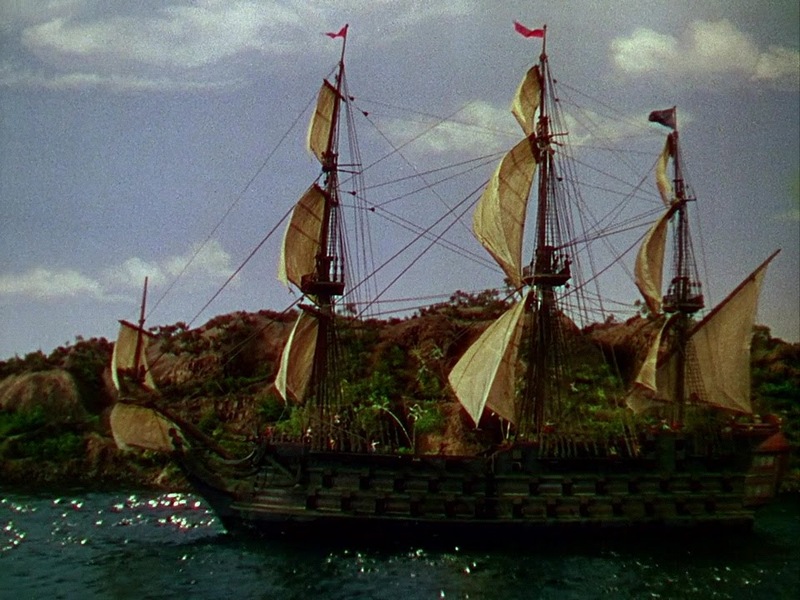 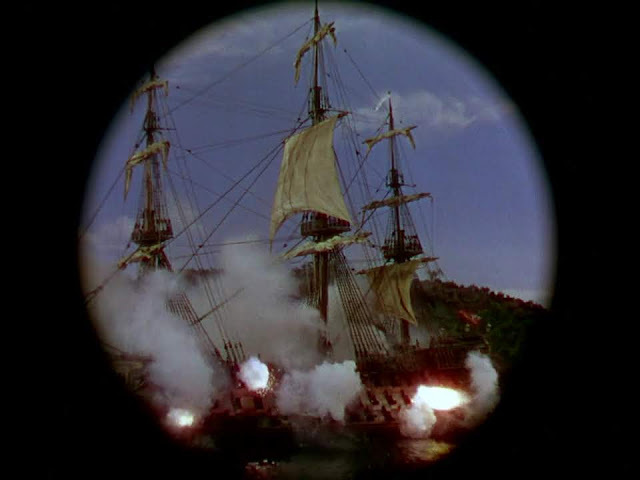 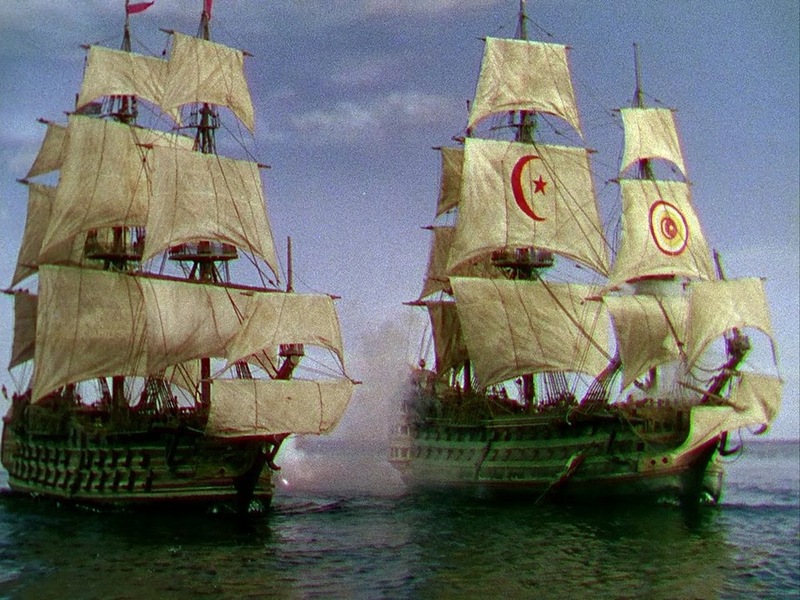 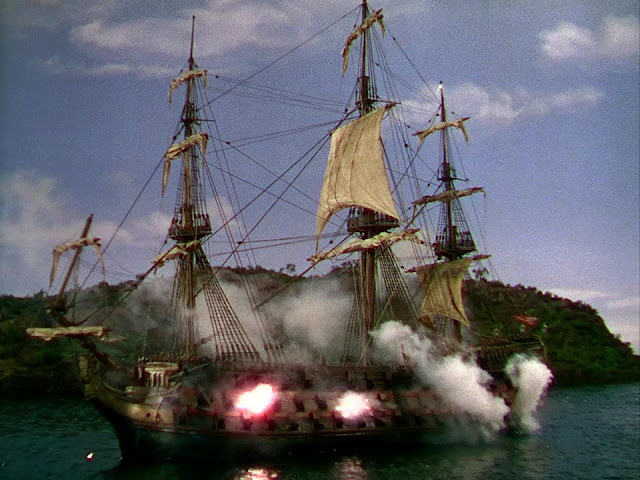 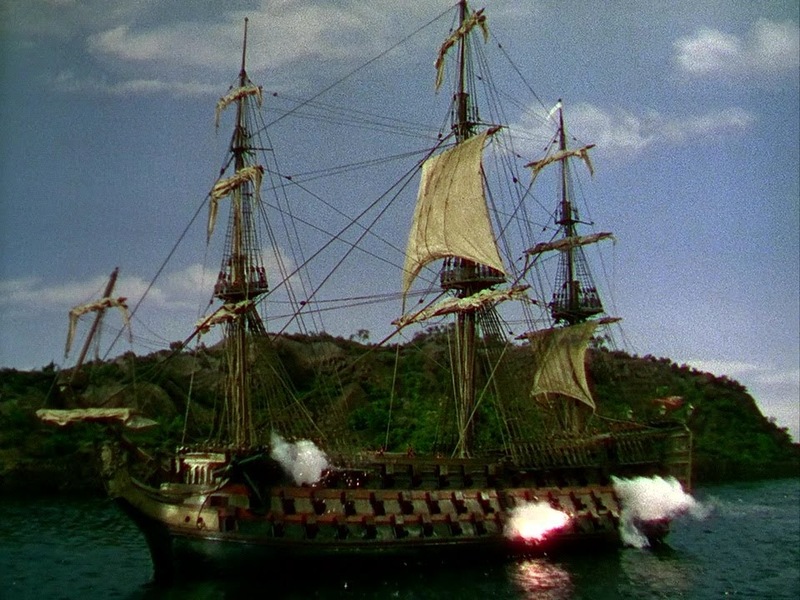 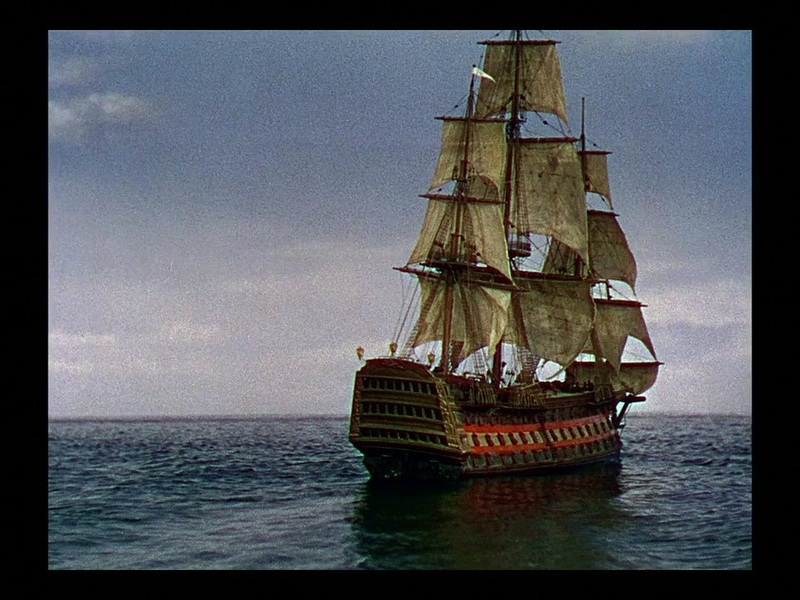 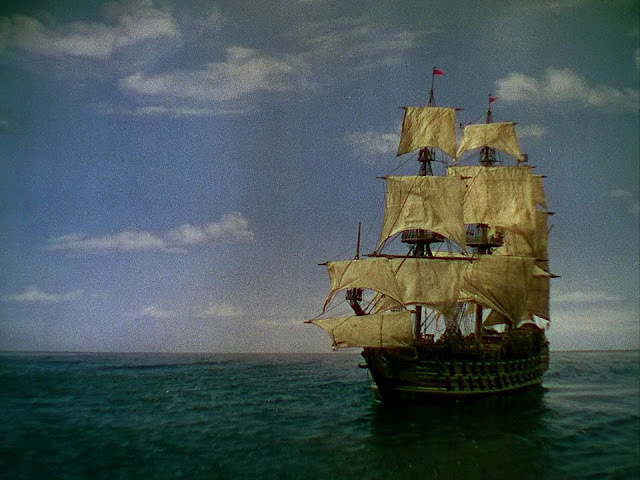 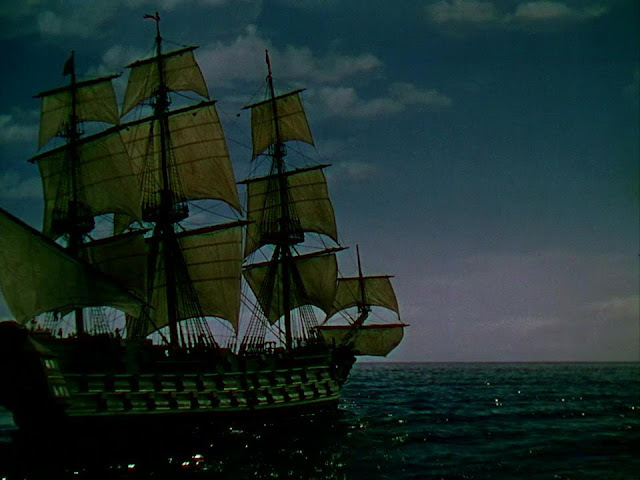 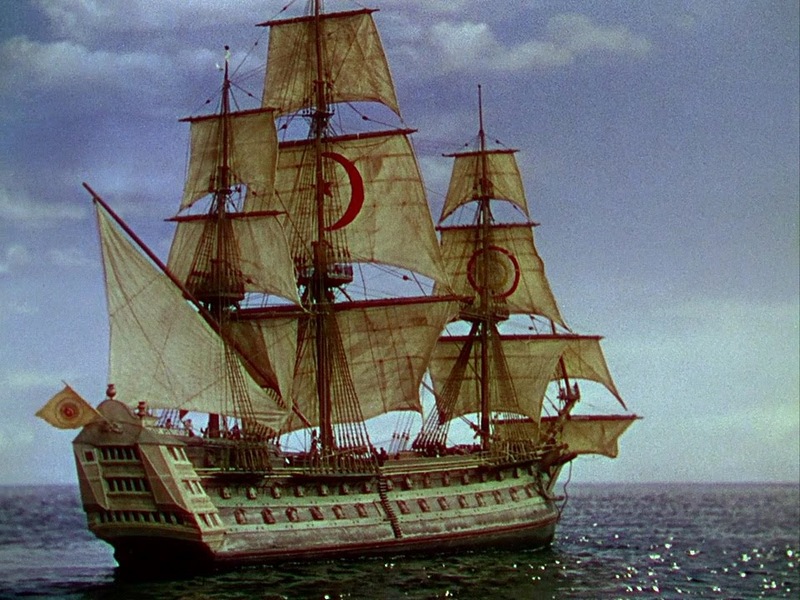 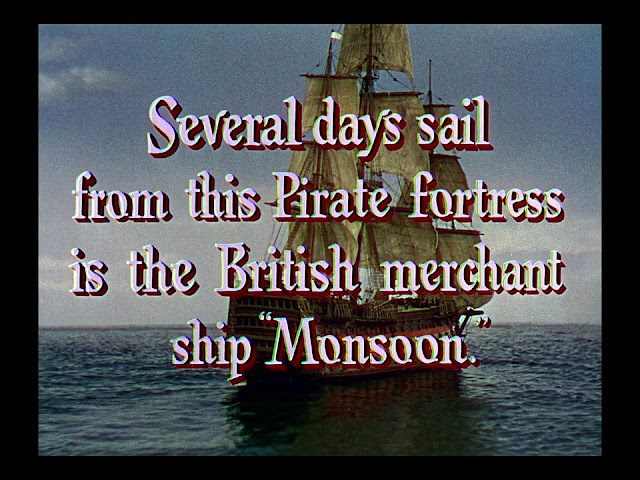 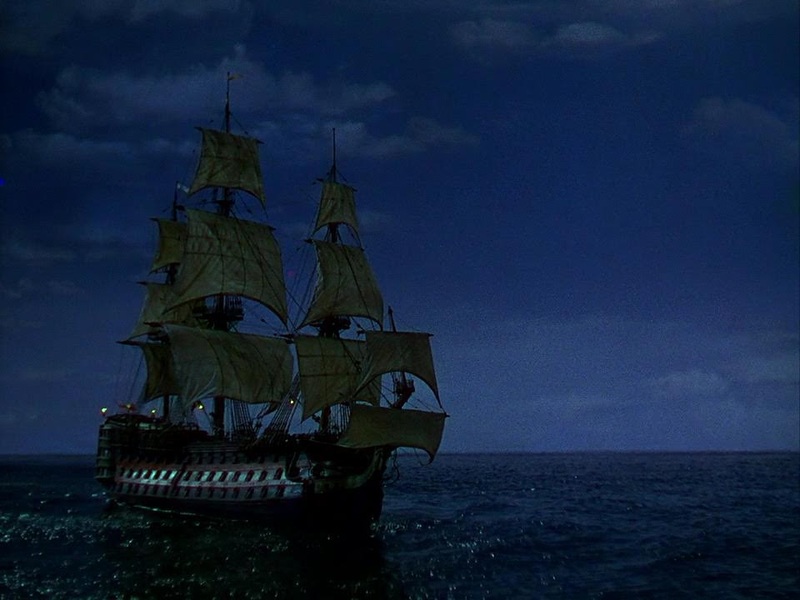 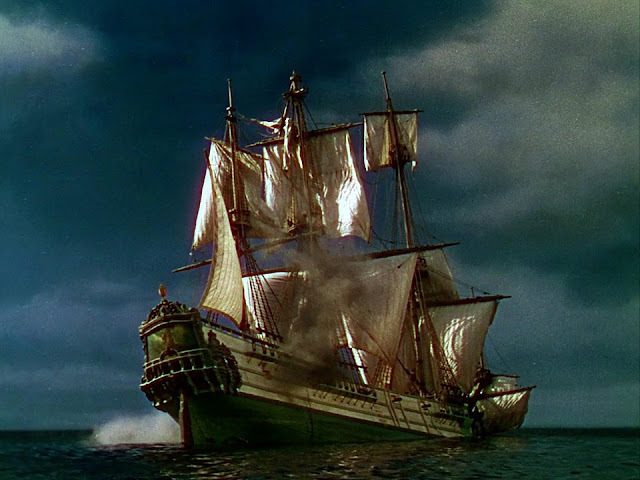 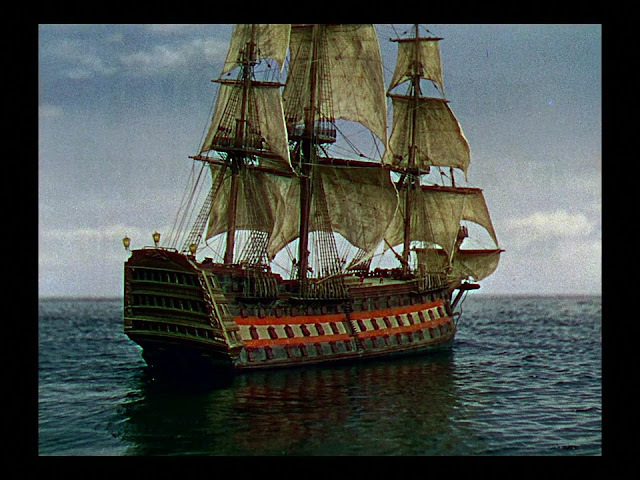 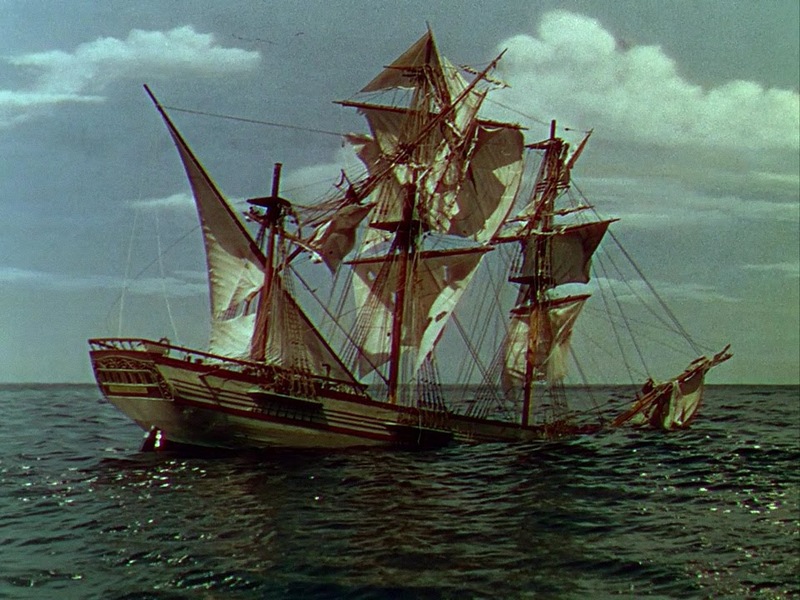 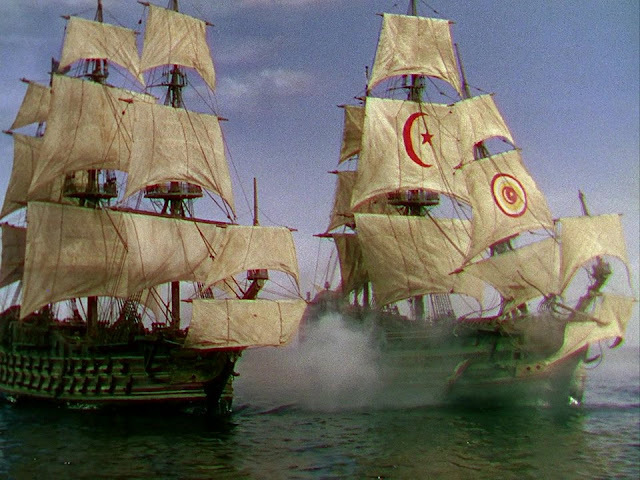 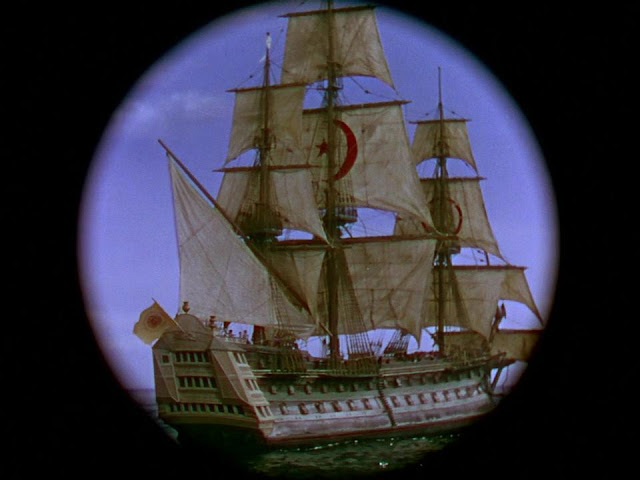 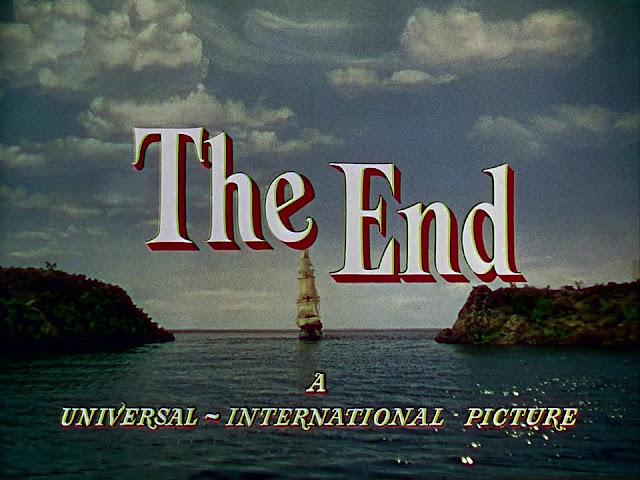 While he was recovering, the ship set from this film (and possibly the miniatures) were used to shoot another film "Yankee Buccaneer" during a period of 5 months before shooting was resumed on Against All Flags.